Dushyant gave a tough fight to Korean Park Hyunsu and Hong Kong's rower Chiu Hin Chun and ended his time at 07:18.76. India bagged two bronze medals in rowing through Rohit Kumar and Bhagwan Singh in lightweight double sculls after Dushyant started the day with a third-place finish in lightweight single sculls at the Asian Games here. Indian rowers Rohit and Bhagwan clocked 7:04.61 to win bronze in their event at the JSC Lake. Japan's Miyaura Masayuki and Takeda Masahiro won the gold with a timing of 7:01.70 while Koreans Kim Byunghoon and Lee Minhyuk (7:03.22) bagged silver. Earlier, Dushyant won the country its first rowing medal at the ongoing Games, claiming a bronze in men's lightweight single sculls. Korea's Hyunsu Park and Hong Kong's Chun Gun Chiu won the gold and silver medals respectively. 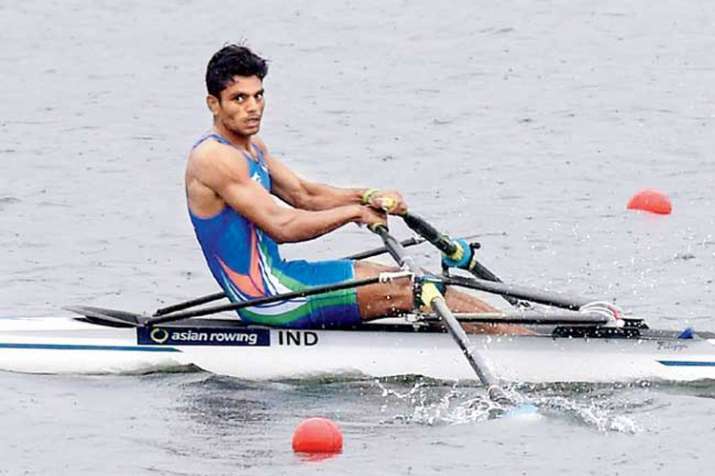 Dushyant, who was declared the best rower in the 2013 National Championships, finished third on the podium with a timing of 7.18.76 as India enjoyed a good beginning on the sixth day of competition. The Indian, who began rowing in 2012 at an army training camp in Roorkee, had won a bronze in the last edition of the Games, too, in Incheon. This was India's 20th medals at the ongoing Games and 12th bronze. The country has also won four gold and as many silver medals.